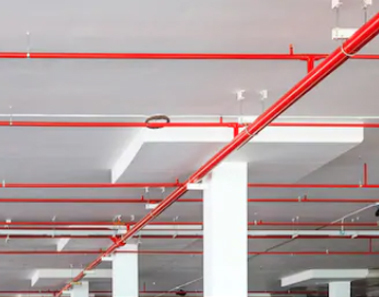 Magic City Sprinkler has the expertise and resources to handle every aspect of fire sprinkler protection for any size project. Our professionals are among the most qualified and capable in the industry, allowing us to offer a full spectrum of services. 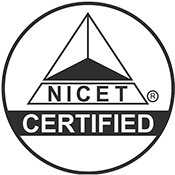 Our designers are trained in AutoCAD and SprinkCAD, and certified by the National Institute for Certification in Engineering Technologies (NICET). Magic City Sprinkler is always happy to accommodate our customers. If you are looking for a service not listed here please feel free to contact us at (540) 345-9818. Magic City Sprinkler doesn’t use book or square-foot pricing. 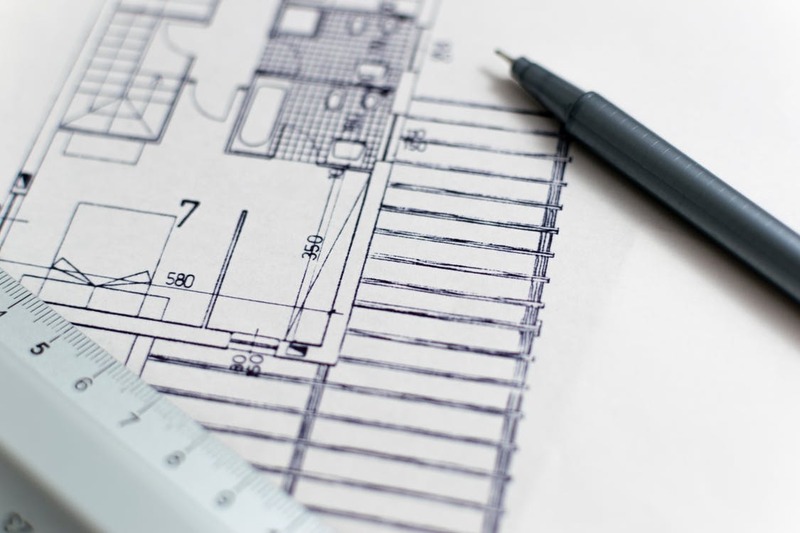 Instead, our estimators determine the most cost-effective way to complete our client’s project by using performance specifications and building floor plans to fully analyze their needs. 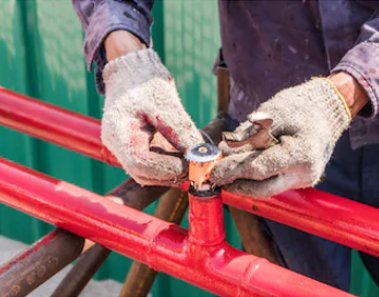 This process includes conducting code research, estimating the number of sprinklers and pipe routes required, verifying material costs and performing a hydraulic analysis of the system. Multiple system designs are often compared to determine the most effective design. At this stage, contact is also made with the local authorities having jurisdiction in the target area as well as with our clients’ insurance carrier to confirm specifications. While Magic City Sprinkler can provide a wide range of services, many of our past projects have been design-build. Saving our clients time and money, our estimating staff first prepares a preliminary concept drawing and hydraulic calculations to determine approximate pipe sizes and water supply requirements. 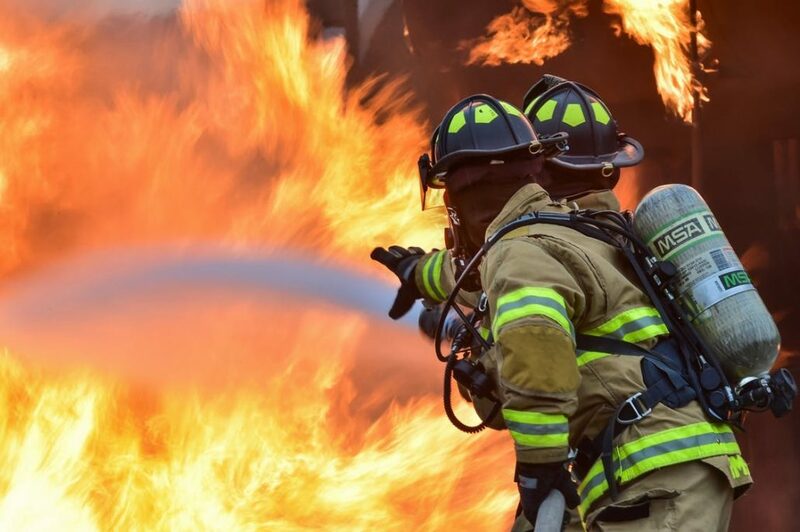 We formulate our estimate by either performance specifications that provide the code applications and materials or our engineering/project management department will complete an in-house review, providing our clients the most cost-effective fire protection service. Give us a call (540) 345-9818 for your design needs. We complete all of our fabrication in house for your project. Keeping the fabrication in house and under our roof, allows us to keep an eye on quality control. Another advantage to hosting our own fabrication shop is the ability for us to be more flexible by changing and adapting to customers needs as they arise. From the smallest interior alteration to high-rise buildings and distribution centers, every installation receives the same quality and meticulous workmanship. Our highly trained crews are equipped with the latest tools and certifications to keep our clients’ project on track. We take all possible steps to ensure the accuracy of the installation of your system. Contact our Sales Manager by email or call (540) 345-9818 for a free estimate. We strongly believe preventive maintenance will ensure your system is operating properly and will work as designed in the event of an emergency. Our inspectors have years of experience and use the latest edition of NFPA 25 as a guideline for the inspection and testing. Annual, semi-annual, and quarterly inspection contracts are offered ac-cording to your needs. A written report is generated with all our findings and sent to the customer to alert for any problems or for records local fire marshals may require. 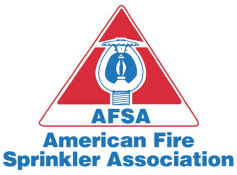 Routine fire sprinkler inspections can find problems with a system that can effect the system operation or possible system failure. 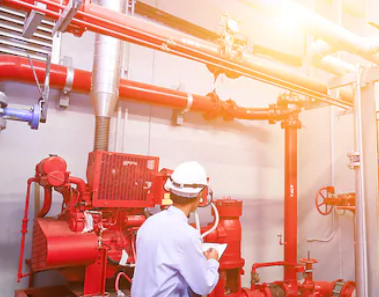 We have qualified technicians on staff who are able to perform all fire sprinkler system services and repairs to maintain your system’s optimal performance. We can provide your Virginia, West Virginia, and North Carolina area with systems that can be highly effective for decades. For fire sprinkler system inspection, testing or repair contact Melanie or call (540) 345-9818 for more information and a free quote. NFPA 25 – Standard for Inspection, Testing and Maintenance of Water Based Fire Pro-tection Systems. Backflow prevention is a natural concern and most localities require backflow prevention assemblies be tested annually. Our inspectors are certified in the State of Virginia to test and repair backflow assemblies. Contact Melanie or call (540) 345-9818 for more information and a free quote. Emergencies are never planned but rest assured we are here when they occur. We have a technician on call 24/7. Call our main telephone number and someone will answer the phone 24/7. Over the phone, the technician can sometimes help you eliminate the need for an after hours call. Never hesitate to call us.